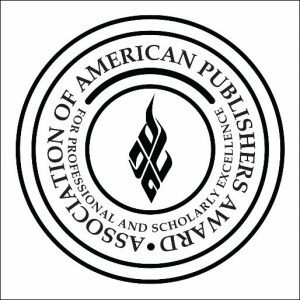 In the Association of American Publishers’ scholarly and professional conference, the AAP’s Maria A. Pallante says the organization is ‘raising the value proposition’ for–and by–its membership. This year’s Professional and Scholarly Publishing Conference in Washington has been designed by the Association of American Publishers (AAP) to reflect the dynamics of the times, both in opportunities and challenges—some of them urgent. 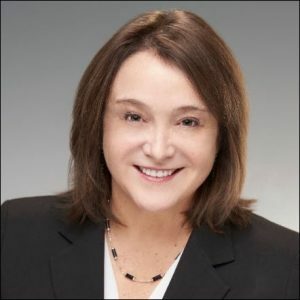 In an interview with Publishing Perspectives, the association’s president and CEO, Maria A. Pallante, says that setting a timely agenda for the event has been a matter of bringing the expertise of the membership and the organization’s and industry’s leaders to bear on the issues. That he is. The director of Columbia’s Center for Theoretical Physics has sold more than 2 million copies of his books worldwide and is known to viewers of the NOVA miniseries he has hosted, as well as for his books, which include The Hidden Reality: Parallel Universes and the Deep Laws of the Cosmos (PRH/Vintage, 2011). What Pallante is getting at is that the association itself, by virtue of the depth of its membership, is remarkably positioned to enrich its own understanding of the forces impacting it today. 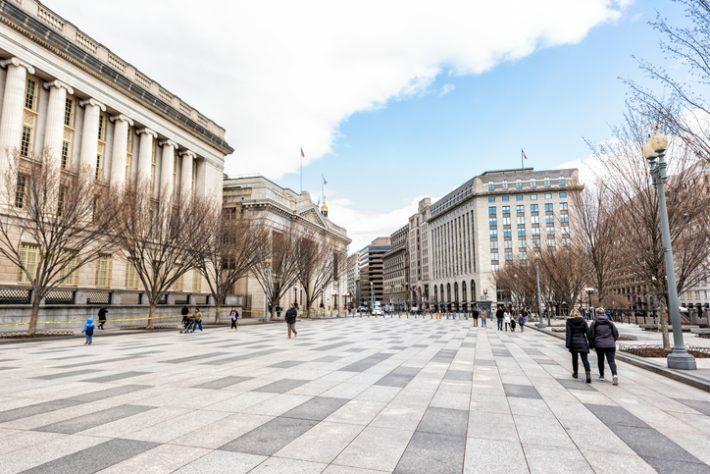 Her announcement on January 31 of the AAP’s new board leadership for 2019 included not only McFeely but also Tom Bozik, the president for global product at Pearson, as president (succeeding PRH’s Markus Dohle), and Macmillan CEO John Sargent as vice president. All of this comes together, then, as an example of how the association is able to “raise the value proposition” of an event like this weeks conference, simply by mining its own rich resources and contacts representative of the world leadership in professional and scholarly publishing. 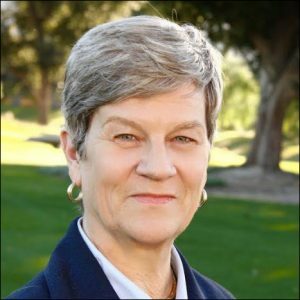 “Even our member of Congress,” Pallante says, referring to Friday’s first speaker, Rep. Judy Chu (D-California 27), “is a perfect fit. She’s has a PhD in psychology. 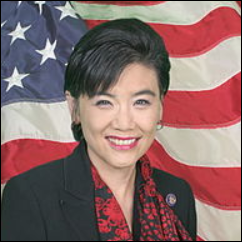 And she’s always so friendly to the creative economy, to authors, publishers, filmmakers, songwriters.” If Chu’s name is ringing a bell, it may be because she has just reintroduced a companion bill to Connecticut Sen. Chris Murphy’s to stop implementation of Donald Trump’s executive order blocking travel from majority Muslim countries. The very discussion of such issues and values in civil discourse today, Pallante says, is based in the work of the professional and scholarly sector, and this week’s sessions are a chance to explore and appreciate that. “They’re publishing to disseminate knowledge for the benefit of the public, Pallante says. “For me, his sector really embodies that. It brings together the university presses, the society publishers, and then the larger commercial houses that help to support the publishing premise for the public. It’s a very palpable example of why publishing matters to the public, you know, why it matters to an informed citizenry. Indeed, thanks to Oxford University Press, the association will hear from its marquee speaker on Thursday afternoon, the author Kathleen Hall Jamieson, who directs the Annenberg Public Policy Center at the University of Pennsylvania and is in constant demand for media appearances based on her book, Cyberwar: How Russian Hackers and Trolls Helped Elect a President (OUP, 2018). 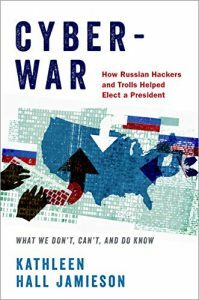 In what’s probably the most extensive research performed yet on the complex and layered mechanisms used in the Russian attacks on the American electoral system in 2016, Jamieson explicates a vast range of vulnerabilities, and in an interview with Publishing Perspectives, she’s able to speak directly to the context of her work for scholarly and professional publishing about what she and her team have learned. “Anyone who’s involved in the digital space is extraordinarily vulnerable,” Jamieson says. 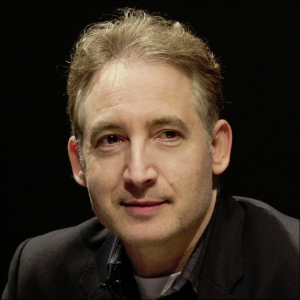 “How are we protecting the integrity of the publishing enterprise—which now is digital—from the kind of intrusions that would alter the meaning of texts that are secured right now inside what are, in essence, cyber-libraries, digital libraries? As an example, Jamieson refers to two of her books, The Obama Victory (OUP, 2010) and Electing the President, 2000: The Insider’s View (University of Pennsylvania Press, 2001). What Jamieson is warning the publishing industry about is nothing less than what she terms “a Library of Alexandria moment” in which the fundamental content on which publishing’s output stands could go up in cyber-flames. Publishing Perspectives will have more of our interview with Jamieson in a separate article. And attendees at the AAP’s conference this week will be hearing her insights into these dangers Thursday at 4:45 p.m.
As we mentioned on January 31, the PROSE Awards’ top winners for 2019 will be announced during Thursday’s lunch at the conference, with the awards program’s co-chairs Nigel Fletcher-Jones of the American University in Cairo Press and Steven Heffner of Wolters Kluwer Health. More on the program’s agenda is here, and on the speakers is here. Registration is US$599 for members and $999 for non-members, with complimentary access offered for government workers and students–registration information is here. More from Publishing Perspectives on the Association of American Publishers is here, and more on publishing and book awards is here.